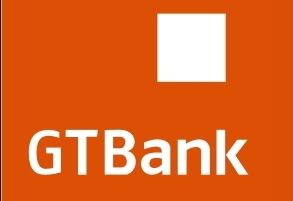 For those of you that are planning to use their GTB Naira ATM debit card presently to pay online for foreign currency, either in Pounds or Dollars and also those that will like to know what GTB currently charge per Pound or Dollar, you can take my present experience as case study. And yes, I decided to make an online payment yesterday in Pounds with my GTB Naira debit card and see what I was charged. It was a £13.10 online payment with my GTB Naira Debit card and I was charged outrageous N6,737.43 for that, which is a clear indication that without proper calculating these things yourself as a bank customer, you might not know that the banks easily over charge their customers. That charge amounts to N514 per pounds, and that was what I was charged by GTB on my £13.10 online payment with Naira debit card. Even the current black market rate for pounds exchange is nowhere near N514, and then on how GTB came about with that rate is what I don’t really know. On conversion of the £13.10 to dollar we got $16.81, meaning that GTB charged me a whopping N400 per dollar on that purchase. So if you are currently planning to pay online with your GTB Naira debit card, then you should see for yourself above to get a clue of what you will be charged.